We grow 9 varieties of cider apples in our 15 ha orchard and these are the only apples that make up our products. We pick them only at maturity which requires several passes under each tree. We planted each of these apple trees ourselves from 1994 to 1996. The mention "Farm product" is a reliable indicator that each stage of the production is carried out on our domain and from our own apples only. 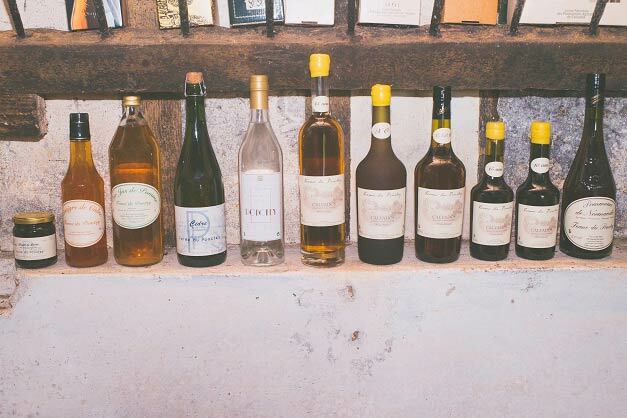 It is a pledge far from being trivial that you will really taste the product of our terroir and its specificities. We also manually fill, label and seal each of our bottles. 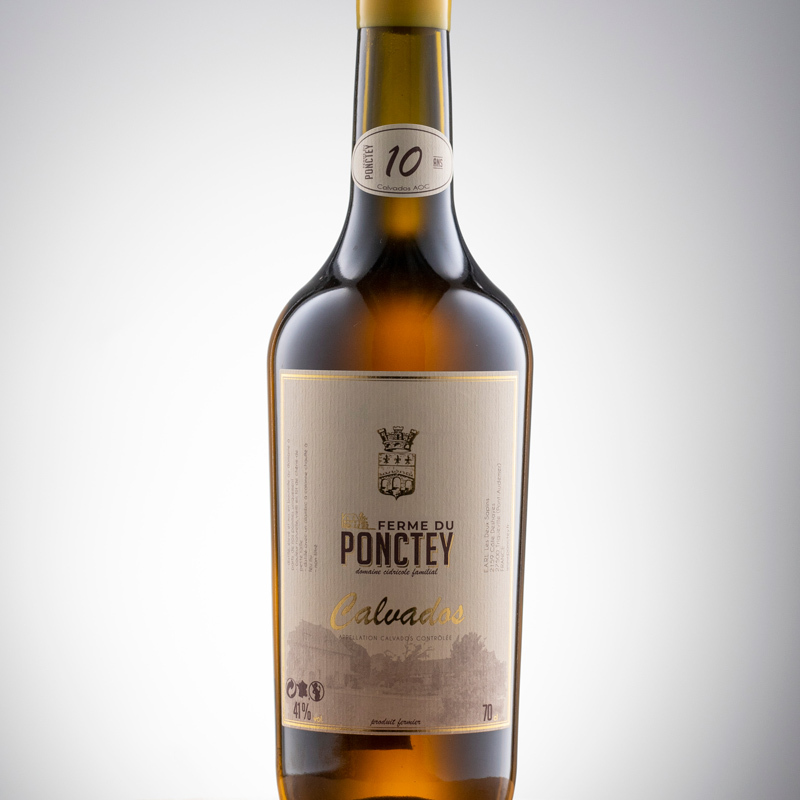 In the shade and calm of our cellars, the challenge of Calvados aging: play with the balance between the aromas from the fruit and those brought by the oak. The Ferme du Ponctey is located on the Lieuvin tableland overlooking Triqueville and its valley near Pont-Audemer in Normandy, controlled origin Calvados area. Our orchard is located at the edge of this high plain on a clay flint soil that can raise ciders of great wealth. The levels of sugar and malic acid are favored by this type of soil and are recognized as being particularly representative components of the quality of a cider apple. Our mission is to maintain the tradition of the production of authentic farm-based alcoholic beverages in small batches and characteristics of the qualities of our terroir. Our products respect the natural expressiveness of our apples and we employ traditional fermentation and distillation methods that emphasize human know-how, far from industrial techniques. 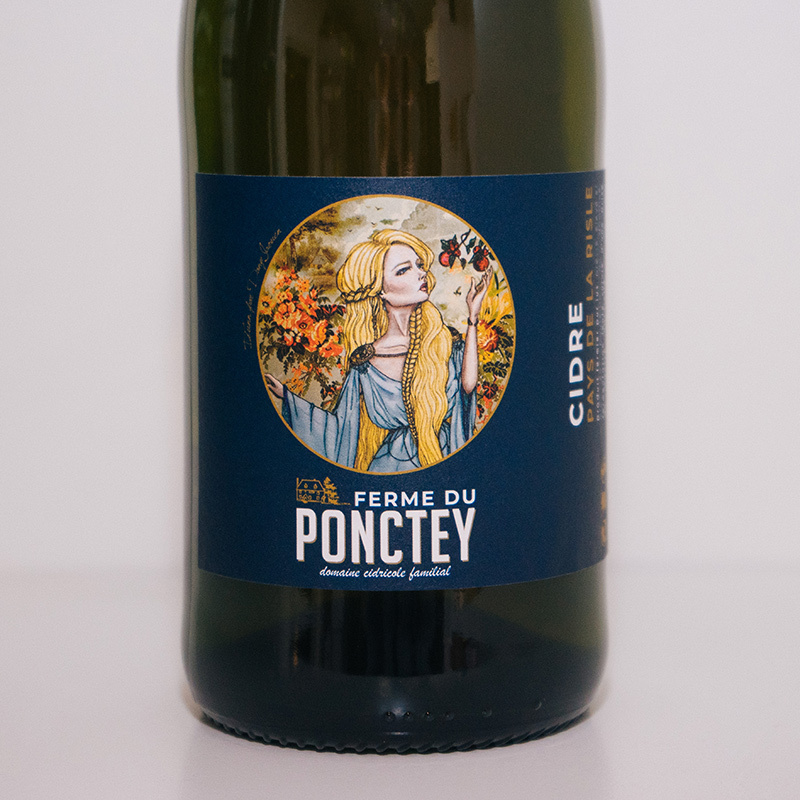 It is now more than 25 years since we took over the Ferme du Ponctey and decided to reconnect with the cider-making past of this place marked by the establishment of a German airfield during ww2. We planted our orchard around the farmhouse and set up cider house and cellars in the historic buildings. Currently two generations of the Jaouen family are working together to drive and maintain the orchard, harvest the apples and develop our cider, Calvados and Pommeau while also conducting field crops. 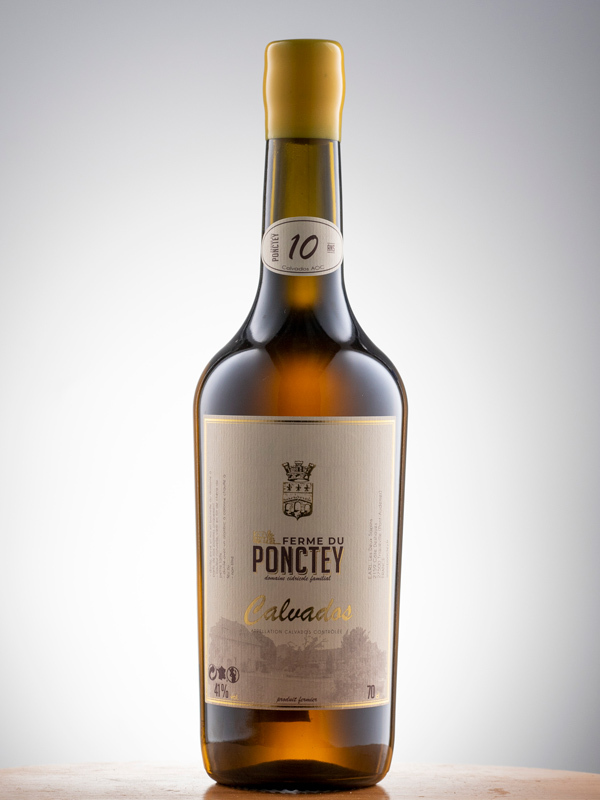 Calvados AOC farm-made product from the Pays de la Risle. Distillation, aging and bottling are carried out at the estate. Distilled with a column still heated by fire and not aged in casks, it has the youthful ardor of which Calvados moves away over the years. 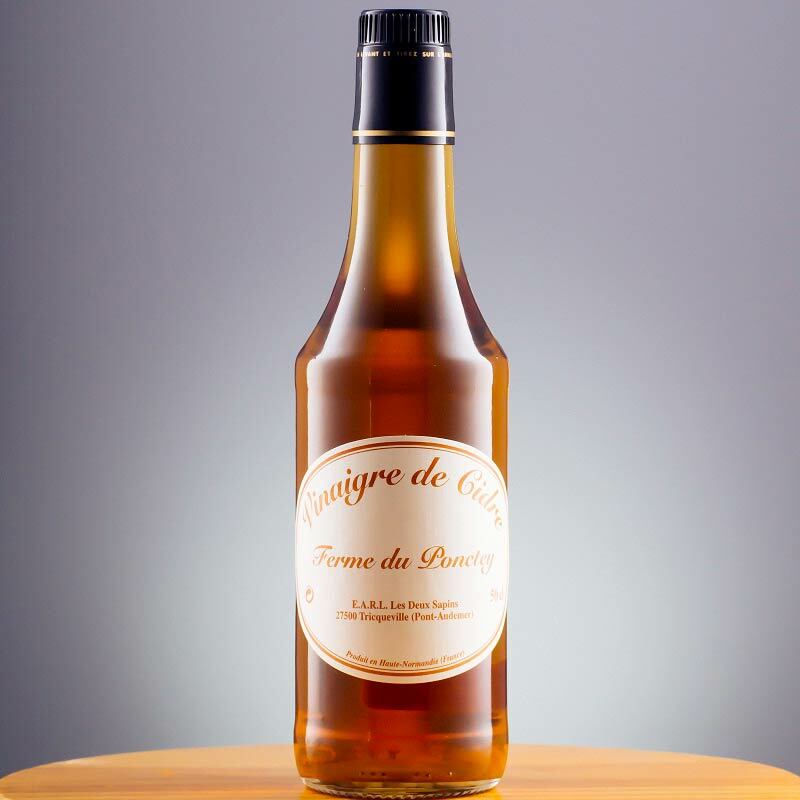 Our Pommeau de Normandie AOC, aged several years in oak barrels, is a farm product born from the assembly of the juice of our apples and our Calvados. 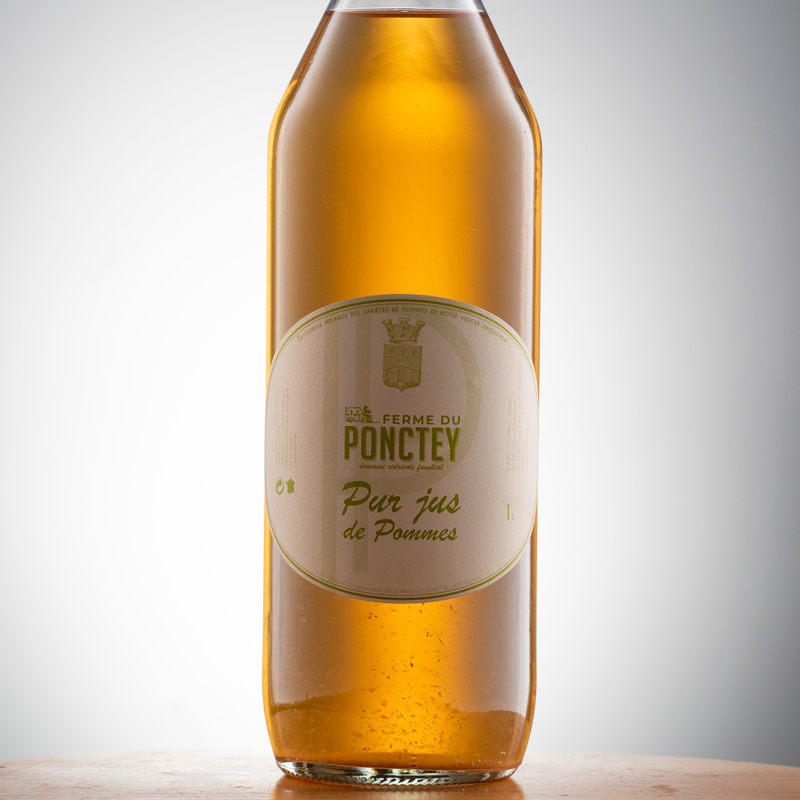 We are fortunate to be the closest producer from Pont-Audemer, birthplace of its inventor. We produce a corked cider using the ancestral method. Fermentation is finished in the bottle, capturing the carbonation of primary fermentation, and leaving a residue of lees. 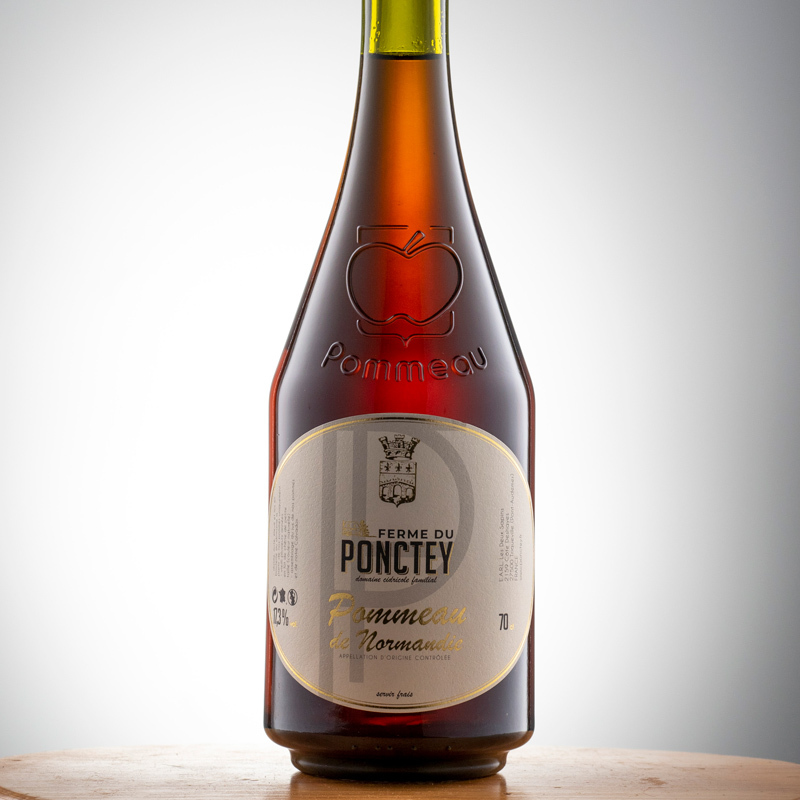 100% pure juice, fruit of the assembly of the apples of our orchard, you'll enjoy its deliciously rich apple flavours. Perfect to reconcile with apple juice. Without added sugar, 100% natural apple juice. Aged more than 2 years in oak casks. Not only delicious, it is unpasteurized and unfiltered for the best health benefit. We grow 9 varieties of cider apples with poetic names in our orchards : Douce Moën, Douce Coetligné, Fréquin Rouge, Petit Jaune, Kermerien, Binet Rouge, Bisquet, Judor, Juliana. Each one has an important role to play in the making of our products. During apples pressing process, we favor low pressure extraction to get only the best juice (650 liters/ton yield). We welcome you all year long at our farm estate to taste our different products and discover our craftmanship. This website is intended only for persons of Legal Drinking Age or Legal Purchasing Age. Pommeau 2016 : gold medal "Concours Général Agricole" Paris 2018. Pommeau 2012 : bronze medal "Concours Général Agricole" Paris 2013. Pommeau 2001 : bronze medal "Lauriers cidricoles" of the IDAC INAO at 2004 International Fair of Caen. 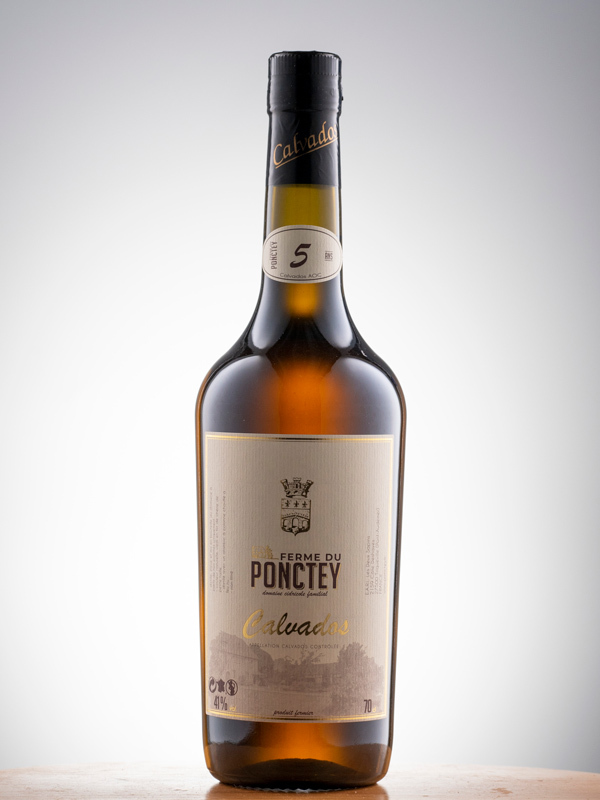 Calvados XO 6+ years : bronze medal "Lauriers cidricoles" of the IDAC INAO at 2006 International Fair of Caen. 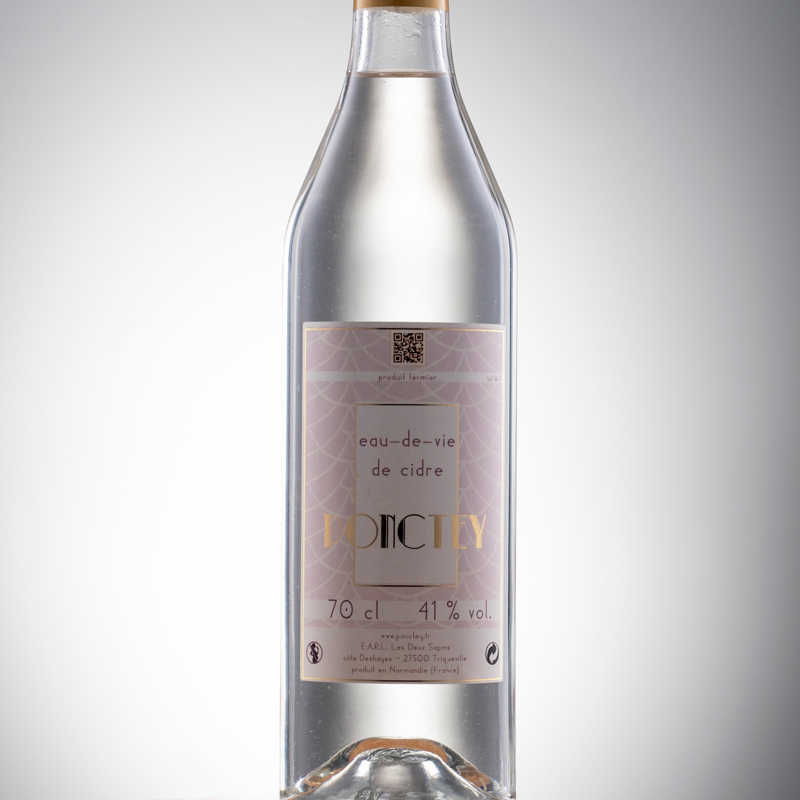 Calvados VSOP : silver medal "Lauriers cidricoles" of the IDAC INAO at 2003 International Fair of Caen. Distilled with a still alembic column heated by open fire. Bottled after more than 5 years of aging in the finest oak casks. Alcohol content 41 % vol. Bottled (frosted glass) after more than 12 years aging in the finest oak casks. Distillation in June and October 2004 with a still alembic column heated by open fire. 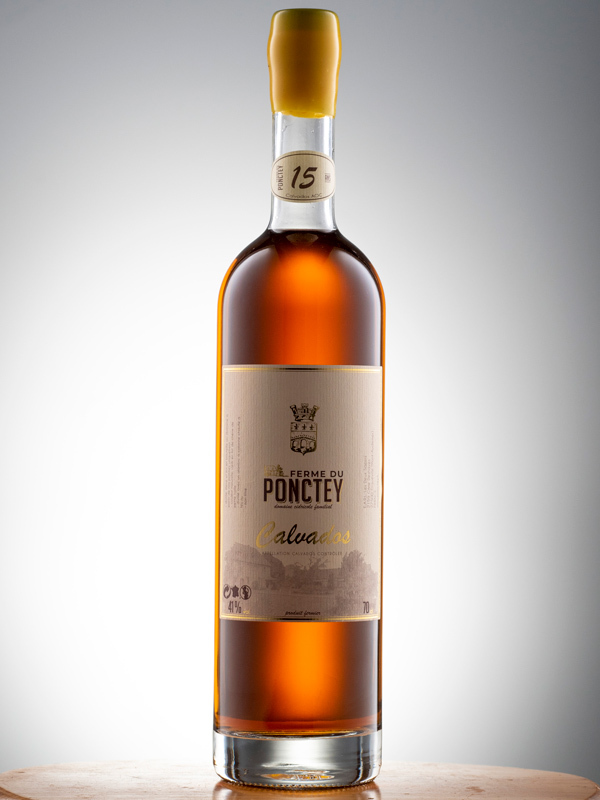 Bottled (Ariane bottle) after more than 15 years aging in the finest oak casks. Distillation in June 2001 with a still alembic column heated by open fire.